David appears across Australia in complex commercial, corporate, revenue, trade practices and constitutional matters. He has appeared in High Court appeals in each of these areas. Clients for which David has acted include 20 banks in Australia’s largest commercial dispute (the Bell litigation), NAB in market misconduct proceedings concerning the Bank Bill Swap Rate, Woolworths in arbitral proceedings concerning its Masters business, the Rinehart children in trust litigation against Gina Rinehart, Multiplex in landmark class action proceedings, the ATO in fraud proceedings against Mrs Radhika Oswal, Mr John Kinghorn in proceedings against ICAC, and the Commonwealth in constitutional cases concerning the mining and carbon taxes. David has been recognized in Best Lawyers in Australia, Doyle’s Guide to Leading Barristers (both NSW and Australia-wide) and Who’s Who Legal. David was awarded University Medals in both Law and History at University of Sydney. David subsequently received a BCL (with Distinction) from the University of Oxford, while holding the Menzies Memorial Scholarship in Law. 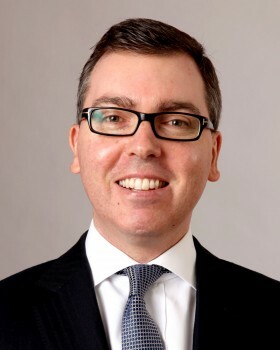 Prior to coming to the Bar, David was Associate to Justice Gummow at the High Court of Australia and a solicitor at Mallesons Stephen Jaques (now King & Wood Mallesons) in Sydney.